Part of a castle has been closed due to the presence of a "very angry badger". Historic Scotland told visitors about the unusual resident in a tweet, saying: "If you're heading to #CraignethanCastle over the next few days you might find the Cellar Tunnel closed due to the presence of a very angry badger. "We're trying to entice it out with cat food & send it home to #chilloot." 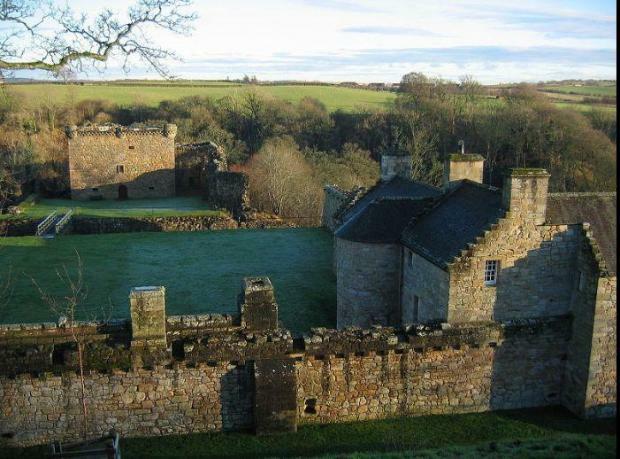 The Historic Scotland property, managed by Historic Environment Scotland (HES), was built around 1530 and has a tower house, ramparts and caponier - a stone-vaulted shooting gallery. An HES spokesman said: "We've had to temporarily close Craignethan Castle's cellar tunnel due to an unexpected guest. "The tunnel was closed around midday on April 12 after our site staff discovered a badger had made itself at home. The castle is surrounded by woodland and we believe the badger may have become lost. "Staff have been in contact with local wildlife authorities and have tried to lure the badger out with cat food and honey. "The rest of the castle remains open."